As humans, we’re idea generators. Ideas come to us in our sleep, while drinking coffee, while working on someone else’s problems (or our own), while in the shower, bus, car etc. And for most of us, once we latch onto an idea we literally/figuratively burst at seams wanting to launch it as soon as we can (maybe even today). We feed on the excitement. But how do we know we’re making the right bets with our ideas in the first place? Which bets do our ideas hinge on? These are our riskiest assumptions; they need to be tested before we spend everything we have executing plans to make our ideas real. Dutch people love their cheese, as evident by the long lines you’ll encounter at just about any cheese shop in the Netherlands, especially the ones in central Amsterdam. While helping to write Design a Better Business, I personally spent hours standing in the same lines in Amsterdam. With this ‘problem’ in mind, a cool, new startup based in there set out to address this problem with a mobile app, wherein customers could pre-order sandwiches and avoid waiting in line. It seemed simple enough. After mapping out the customer journey, the team identified the riskiest assumption: customers hate standing in long lines. Armed with a shared view about this assumption the start-up team went out into the street to validate it. After speaking with over 50 customers, they found that customers did not see this as a problem at all. In fact, most were willing to wait for freshly made sandwiches, prepared by the good-looking people behind the counter; I’ve experienced this as well. With the only cost being time spent speaking with people during a single lunch break, the team found that their riskiest assumption was disproved. Whether you work for a small start-up or a large, existing organization, you must validate your riskiest assumptions as quickly and cheaply as possible so you don’t waste valuable time and resources toiling away at something that will likely never work. But, this is often harder than it sounds. Imagine your idea is to open a tailor-made denim jeans store on a main shopping street. Surely people love their jeans and are willing to spend money on ones that look great and are made to t. But, is this your riskiest assumptions? If you think through the customer’s jobs-to-be-done, pains, and gains as well their journey, you’ll find more assumptions and questions to ask: Are they willing to spend money at all? Do they have time to wait for a tailored pair of jeans to be made? Are they willing to return a couple of weeks later to pick up their jeans? 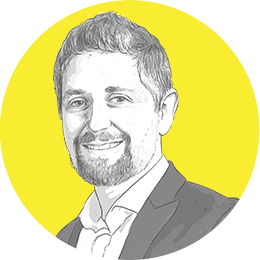 By interrogating your business model and context canvas you’ll no doubt find even more assumptions and questions to ask: What key resources can we rely on to produce something people want to buy? Can our key partners ship materials on time and for the right price? At what price would we need to sell jeans in order to make a profit? The first key to identifying your list of riskiest assumptions is to bring a team together to unpack the idea and brainstorm together. And, if you don’t have people on your team who have deep experience in unpacking the business model and context, invite some industry experts from your network. As someone who wishes to create change (and a design thinker), your primary focus must be on the customer first and foremost. It makes sense then that the rest of the assumptions you identify will come from some customer problems you’ve found. 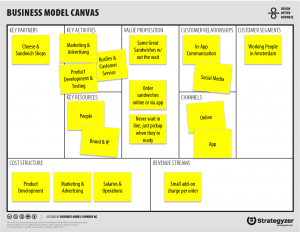 you can also use the business model canvas. When you add the customer segments you’re focused on as well as some assumed value propositions to the business model canvas, you’ll also need to link these to some revenue streams and channels. In all four of these boxes you’ll find assumptions: 1) customers exist that want to buy (2) your product for (3) some price through (4) a specific channel. All of this exists on the right side of the business model canvas. These are assumptions that you’ll need to validate in order to ensure you can deliver some value in the first place. On the left side of the business model canvas you’ll find all of the operational assumptions, such as key partners and resources needed to create the value you’re hoping for. And, of course, you cannot leave out the cost required to produce your solution. With the team in place, use sticky notes, markers, and a big wall to rank these based on which you could not do without or which are most likely to be false. The sooner you find these, the more likely you are to be able to validate them and either move forward or pivot. What do you think? How do you go about identifying the riskiest assumptions of your ideas and/or business models? Join the conversation at Design a Better Business.